Sisters in White is the culmination of the telling of the love stories of sister Lacy and Danica, they have finally reached their wedding day! Blake and Danica and Lacy and Chaz have all descended on a tropical island, courtesy of Blake's cousin along with their family members for the double wedding of their dreams. Unfortunately, all does not go as planned. 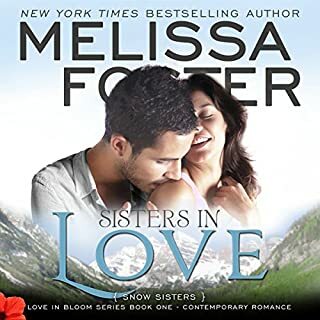 Sisters in White is a wonderfully drama-filled, hilarious and tender book that shows the love between the Snow Sisters, with the addition of the newest Snow sister, which is a cause of quite a bit of the drama and laughs...especially when they go snorkeling. Along with a bit of drama from Mother Nature and Chaz's assistant finding a sweet treat that she wasn't quite expecting at the resort. 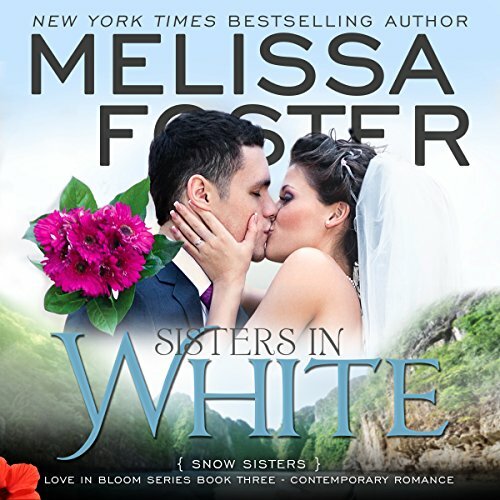 I loved Sisters in White and listening to all the drama and love was an incredible way to experience the story, do yourself a favor and get Sisters in White today to read all about the incredible Snow Sisters! This is the third book in the Snow Sisters Series. The double wedding of Danika/Blake and Kaylie/Chaz on an island in the Bahamas was an incredible journey! Nothing goes right and dramas happened, with twists and turns. This was my favorite book in the Snow Sisters Series. The narration was well done, as always with BJ Harrison. He has a great voice, easy to understand. I enjoyed my listening. I received this free review copy audiobook at my request and I have voluntarily left this review. What could go wrong does go wrong with an island destination wedding. These sisters inwhitw find that after years of preparation there are still some things that cannot be planned for. We get to see the two happy couples find that sometimes life dishes out its own brand of reality. A new sister, a bit forgotten father, a little payback from cheating, bonding friendships, bonding sisters, great cousins, wonderful assistance, and then there were friends and extended family. 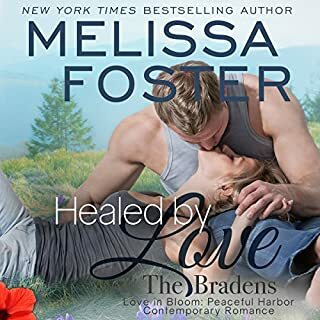 Kaely and Danica ‘s double wedding form the basis for the storyline in book 3 of the Love in Bloom Series and introduces the Braden cousins. A pleasant romance with Some silly misunderstandings. Most of the story is from Danica’s point of view. She is very over protective as the oldest sister, and learning to be a bit more adventurous and trusting of her fiancé. The narrator is mediocre and mostly just reads the book with not that much differentiation in Character voice. He appears to be the narrator for the whole series though so will have to whether the plots and storyline are worth the so so performance. Would help if the remaining books were also put into the Romance Package or put on sale. What happens when you have a double destination wedding at a luxurious resort in the Bahamas, lots of family drama, bad weather and get to meet two Braden brothers? Sisters in White is the third book in the Snow Sisters trilogy as we attend the double wedding of the Snow sisters, Danica and Kaylie to Blake and Chaz. Enter family drama in the form of their estranged father who divorced their mother in order to marry his mistress and raise their half-sister Lacy, whom they’ve never met. Unknown to Kaylie, Danica has been in communication with Lacy through email and phone calls. Kaylie can’t forgive her father and struggles with what she perceives as her mother’s weakness. Both sisters struggle with their own views of love, relationships, marriage. forgiveness and acceptance. How will each react to their father, his new wife Madeline and Lacy? Not to mention their mother is there to add a few surprises of her own. We also get a preview of new relationships. Max Armstrong, (Kaylie refers to her as Chaz’s work wife) and Treat Braden, (Blake’s cousin and owner of the resort who is hosting the wedding) as well as Dane Braden, Treat’s younger brother and his attraction to Lacy. 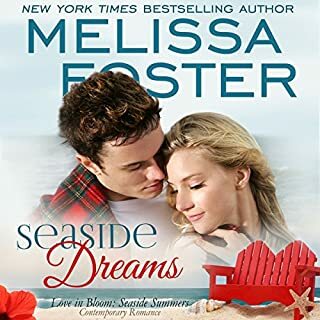 We see Sally, Rusty and Gage and wonder what’s going to happen with them.The secondary characters add so much as is Melissa Foster’s way of weaving a poignant love story together and make you beg for more. BJ Harrison has become a favorite narrator of mine and he adds a lot to each of the books. I never feel lost or wonder who’s talking due to his ability to differentiate between the characters. This book wraps up the saga of the Snow sisters very nicely and sets up the beginning for the Braden family saga. This can be listened to as a stand alone, but do yourself a favor and get the other two as well. You won’t be disappointed! Danika and Blake along with her sister Kaylie and Chaz had arrived to Nassau to have a double wedding. The Snow sisters were expecting their father and his second wife Madeline and their half-sister Lacy to come. Kaylie hadn't seen him since she got out of college and she wasn't happy about it. When they arrived Lacy looked like Kaylie, but she had Danika's curly hair. Kaylie started acting out like a child with anger issues. Danika and Kaylie's mother was coming with Kaylie and Chaz's twins. Then a big storm happens! What ever happens, happens! Go along for this slippery slope of a story with twist and turns. Melissa spins a fantastic story and B. J. Harrison installs the narration into our minds to stay. What did you love best about Sisters in White? I love the fact that it is full of love, laughter, chaos, and family (though not all blood). Melissa Foster has a way of writing a story and B.J. Harrison narrates the story wonderfully, with inflections and just keeps the listener enthralled. I love that it's not perfect. So many stories are just perfect and that is not realistic. This book has the perfect balance of romantic, family drama, humor, and utter chaos. It keeps the listener entertained and wanting to listen for 5 more minutes, which turns into 30 minutes, or an hour longer. His inflections and the way he changes his tone for different characters makes the story so much better for me. I love it! I laughed and cried many times throughout the book, more laughter than tears.